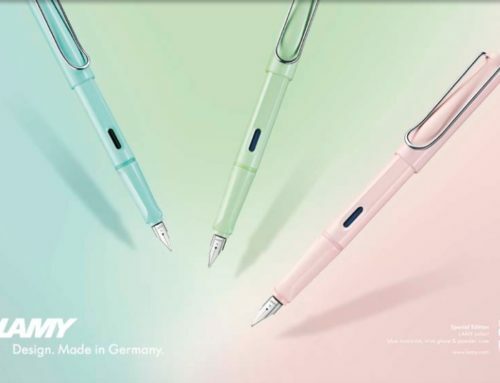 Warm up the cold winter nights with the excitement of a new pen. 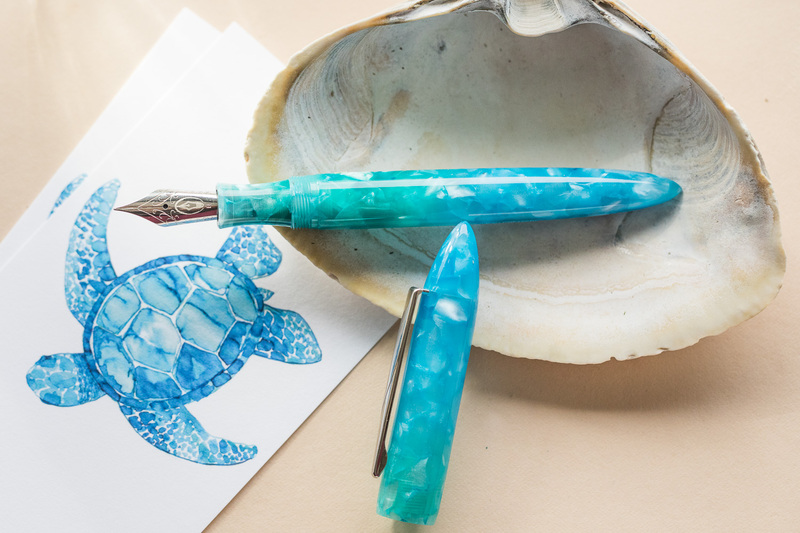 Double the pen fun, the Goulet Pen Company is excited to announce not one, but TWO new seasonal collaborations with the Edison Pen Company. 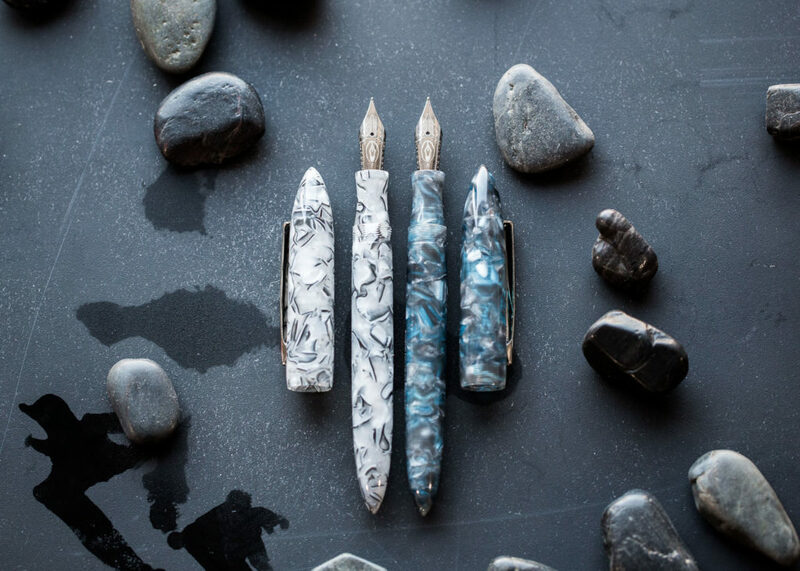 The Edison Nouveau Premiere Frost and Nightfall are two stunning and singular designs of a much-beloved pen model. 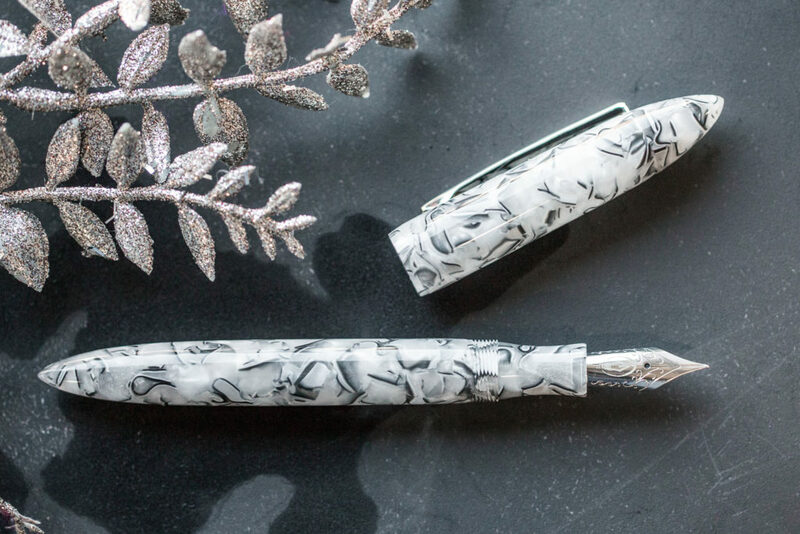 The Nouveau Premiere Frost is a wonderful white, grey, and black flecked resin pen that is perfect for some winter writing. 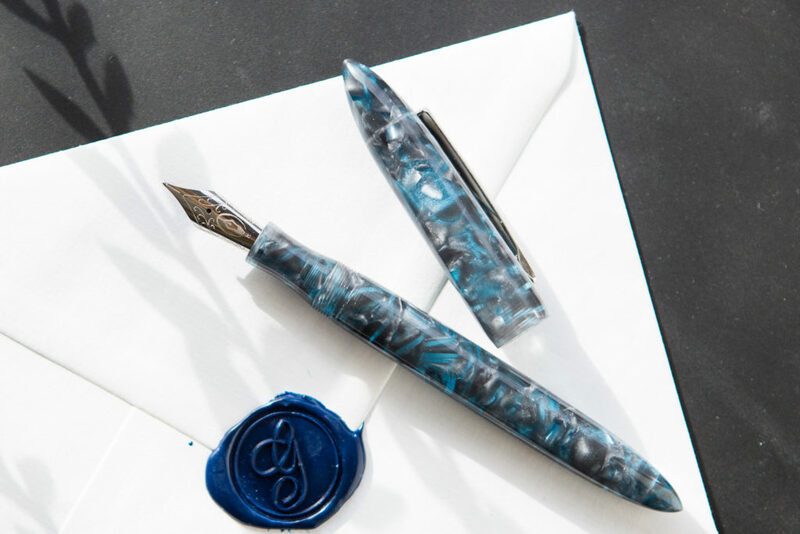 The Nouveau Premiere Nightfall features a dappled blue and grey pattern. We’ve had a bit of difficulty in the past of keeping these seasonal editions in stock, often due to simply running out of material. By offering these two colors, it will allow us to produce more throughout the winter season. 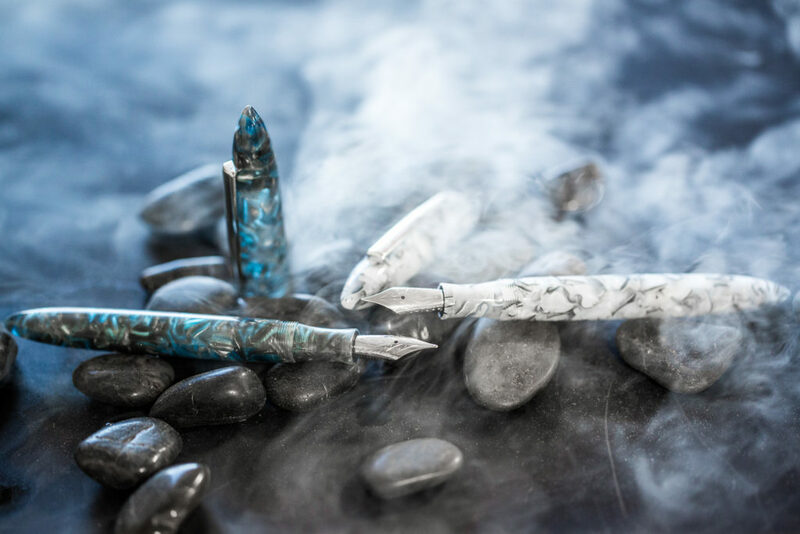 The 17th and 18th editions respectively, Frost and Nightfall are next in the line of a very exciting collaboration between Goulet Pens and the Edison Pen Company of Milan, OH, where each pen is handmade. 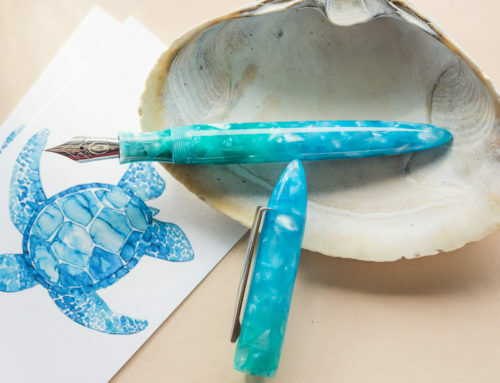 The gorgeous resin bodies of these pens can vary in pattern from pen to pen, making them unique snowflakes in the pen world. 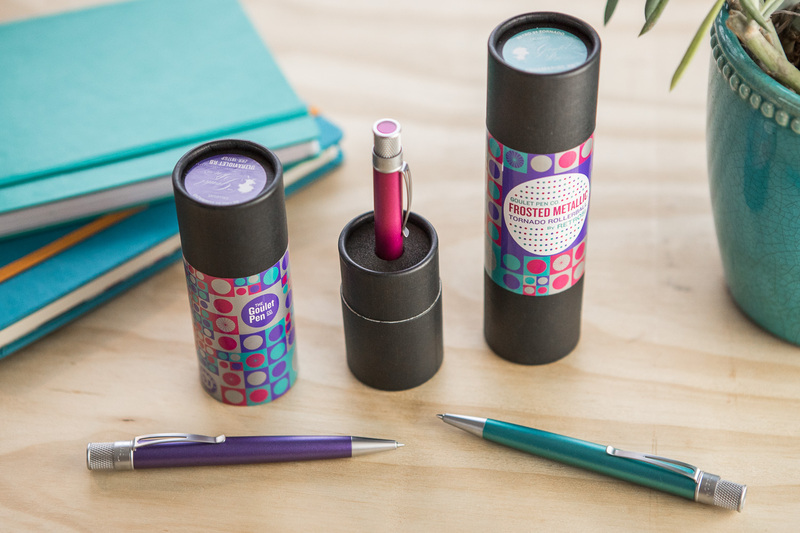 The resin construction also makes them ideal for eyedropper converting. Check out Brian’s video on how to complete that process here! 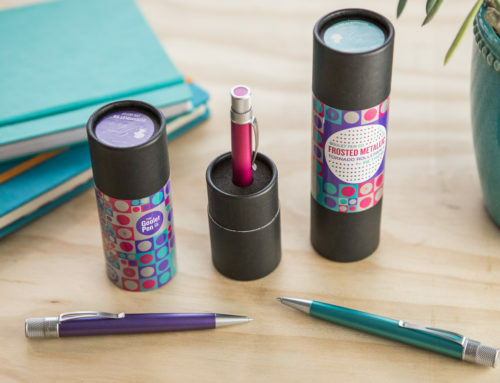 You will also find a converter and ink cartridge packaged with the pens in their lovely pen boxes. 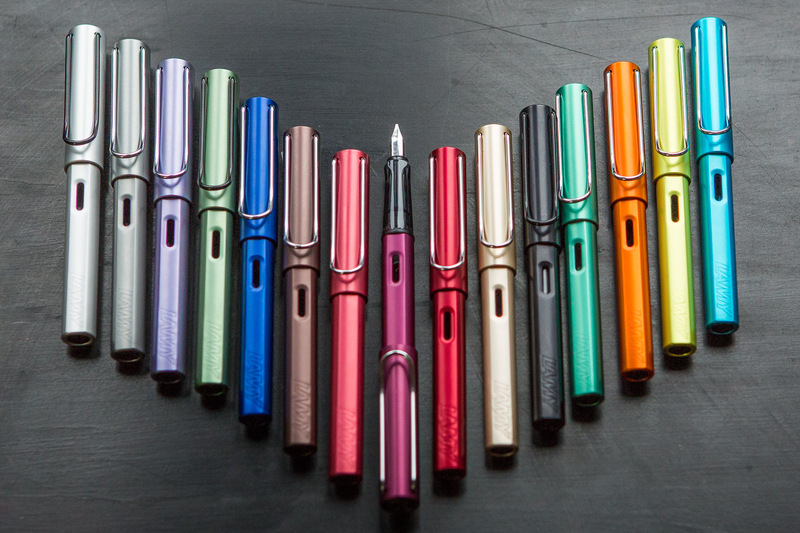 The Edison Nouveau Premiere uses a #6 nib. 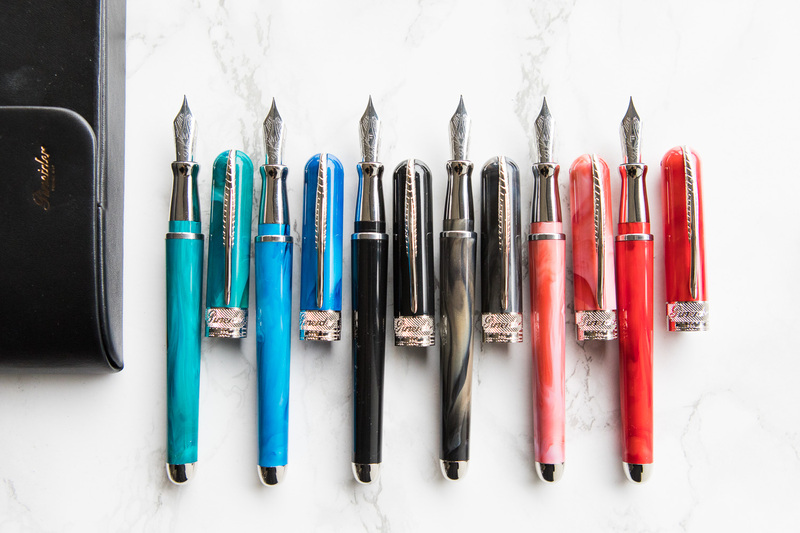 When ordering your Nouveau Premiere, you get to take your pick of a smooth writing Edison steel nib in EF, F, M, B, 1.1mm, and 1.5mm Stub. 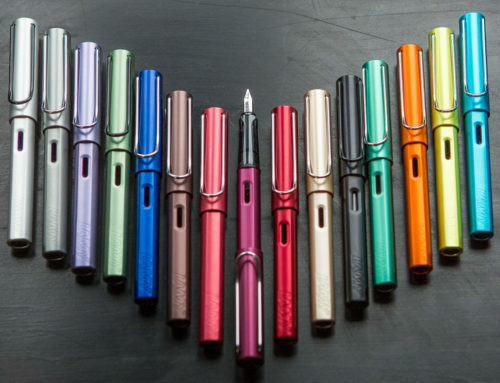 You can also upgrade to an 18kt Rhodium-plated gold nib for an additional $125. 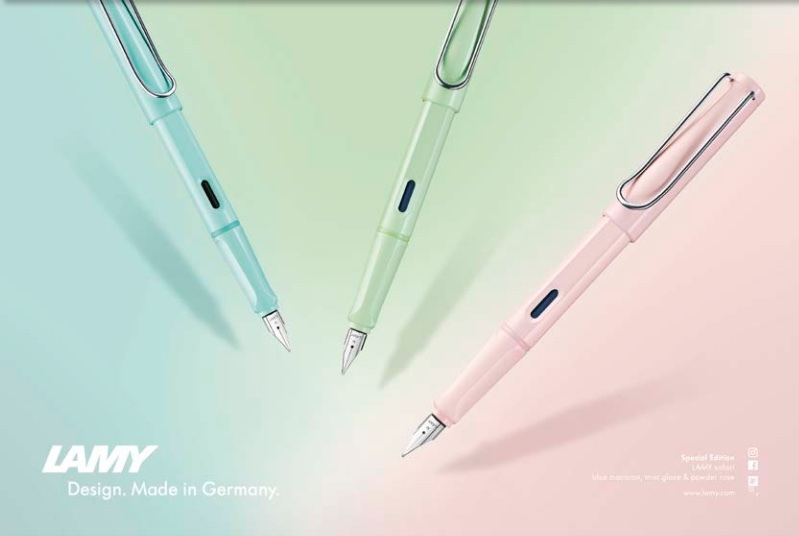 Want more than one nib size to try out? Replacement steel nibs are available for $25 in EF, F, M, B, 1.1mm, and 1.5mm Stub. Not sure how to go about swapping nibs? Check out Brian’s video! 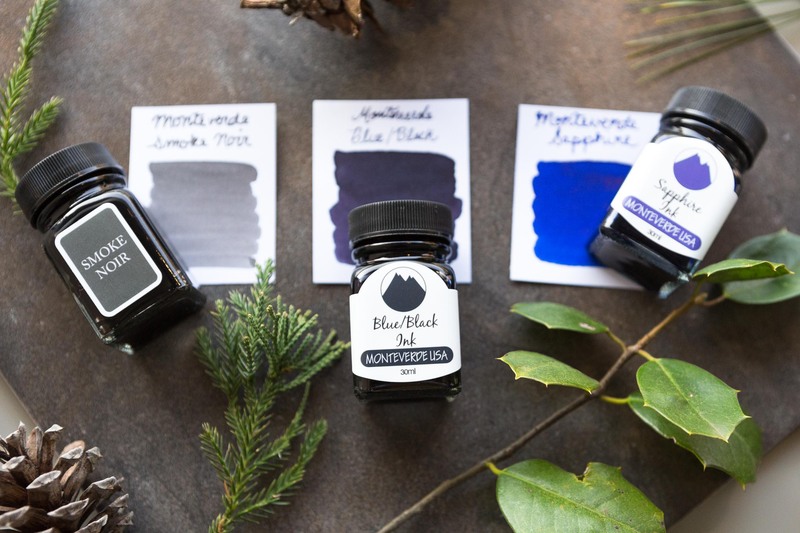 Although one pen is light colored and one features dark hues, they both coordinate nicely with the three gorgeous inks in the Monteverde Boxed Set- Winter 2018. This set features Blue/Black, Smoke Noir, and Sapphire, each packaged in a 30ml bottle. We did want to point out that the price for this edition is slightly higher, at $169 each. 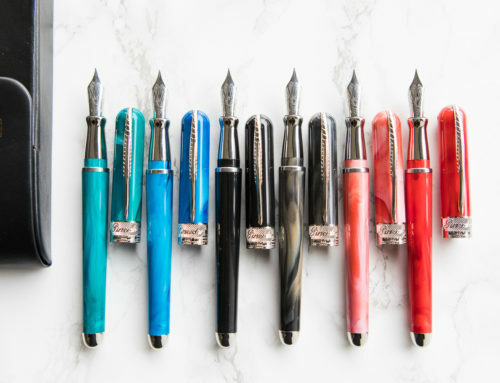 As announced recently on the Edison Pens blog, all of the production line Edison pens will be increasing in price at the start of the new year. As this is a 2018 model (though we are releasing it slightly early in time for the holidays! ), it is launching at the new price. You can find all of the product specs and dimensions, as well as additional details, on the product page.